When visiting Italy, there are a few landmarks that everyone knows and want to visit. 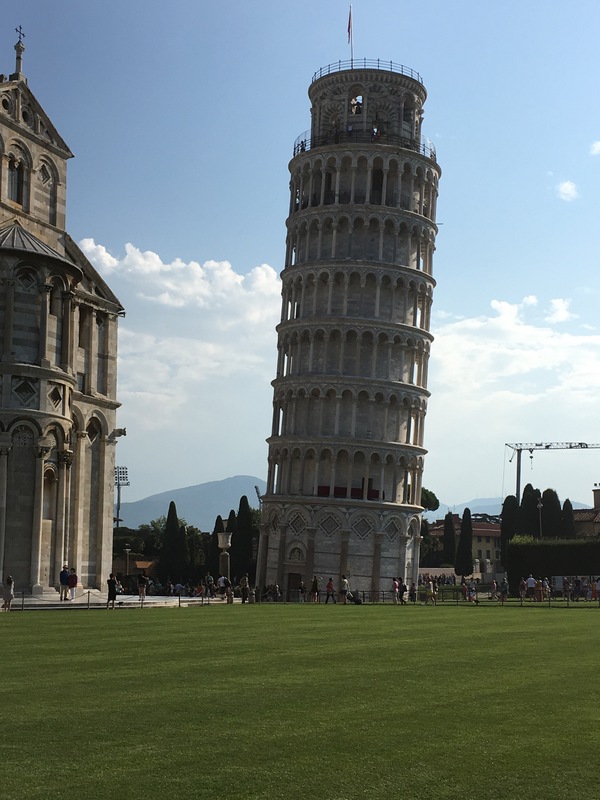 But when you’re planning your visit to Pisa and the main landmark of the Leaning Tower, how many days or hours do you set aside? 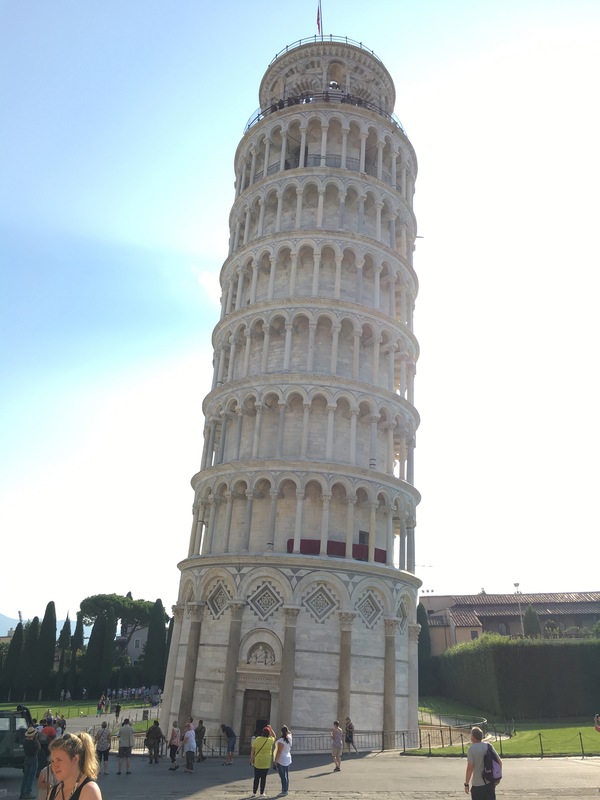 Having been several friends and family who have been all shared their recommendations of how long to spend in Pisa. The consensus said spend no more than 2 hours in Pisa. I had to question why only 2 hours in this town with one of the most recognized structures/buildings/tower in the world? So after 5 out of 6 people told us don’t waste a lot of time there, go and take your picture and then see the rest of Italy, we took their advice and planner only 2 hours. 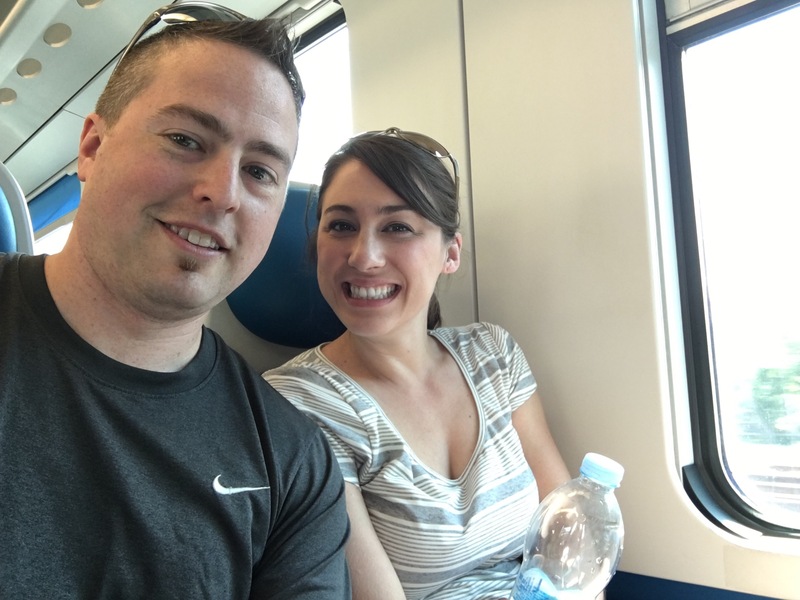 We were on the first train out of Florence over to Pisa. It was interesting that the train stop before Pisa all the street vendors got on the train with their trinkets and other souvenirs to sell around the tourist spots in Pisa. That being said, we knew we were on the right timeline to visit since the crowds wouldn’t be there yet. My assumption was correct. By getting there early before the crowds it allowed for great shots of the Leaning Tower before everyone and their brother was in the background. You can see from the above picture a few people in the foreground but not as many a few hours later. We were there at the tower before 8:30 AM but by the time we left around 9 AM it was starting to get busy. Take this as my recommendation that from which I followed my friends, go early take your touristy photo and move on to other parts of Italy worth spending more time. Don’t get me wrong, I’m sure there are great spots in Pisa, but for me on a tight schedule in country I had to prioritize where I spent my time. I don’t regret only spending an hour in Pisa as I’ve not met anyone who has said, “Oh did you visit____ or see ____.” Until I find someone who can prove me wrong, keep your time in Pisa short and get there first thing in the morning (before 9 AM) for the best views.